The Oil Kings outshot their opponents 47 to 29 through 60 minutes, but those Oil Kings totals may have been slightly deceiving. While the Oil Kings did control the puck and the speed of the game through most of the 60 minutes, they did not seem to have as many quality chances. Still, for the Wheat Kings, the biggest reason they stayed in the game as much as they did was because of the outstanding reflexes of netminder Corbin Boes. 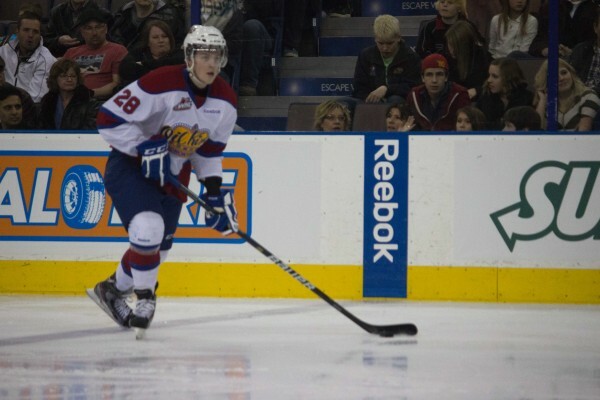 The Oil Kings did manage to beat Boes twice though, the first goal coming from Oiler prospect Kristians Pelss. While Pelss scored 5 game winning goals during the regular season and countless key game tying goals, he hasn’t skipped a beat when it comes to the playoffs. He may not lead his team in goals, but does have a game winning goal, and this game’s opening tally. “Maxwell shot and I went to the net, it was a good rebound and I just went hard to the net and you know, scored.” Pelss said with an ear to ear grin following his team’s win. These goals certainly don’t come without cost however as Pelss seems to have a target on his back at most times. But it could also be Pelss’ drive for the net or his decisions to keep himself close to the net in case the puck just happens to bounce his way. 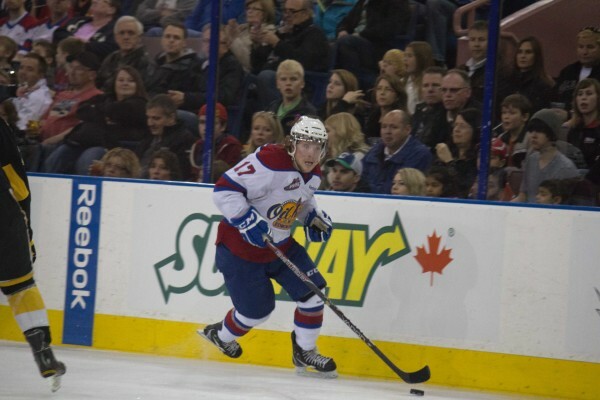 The Oil Kings’ second and game winning goal came from Dylan Wruck on the power play with the assist going to Oiler prospect Martin Gernat. This was Gernat’s first point of the playoffs and for an offensive defenceman like Gernat finally getting on the scoreboard is a huge relief. Defenceman Brodie Melnychuk got the Wheat Kings on the board midway through the second period, but there would be no further scoring. 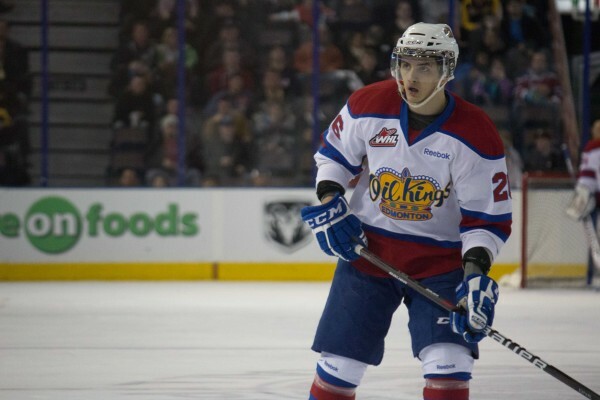 The Oil Kings took an ill timed penalty when Keegan Lowe tipped the puck over the glass with a mere 17 seconds left to play, but the Wheat Kings couldn’t get anything past the Oil Kings’ outstanding Oil King Laurent Brossoit. The first game of these series is often a chance for players to get to see what the other team is like, look for weaknesses and see how they respond to pressure. The second game, Saturday night could be far more physical and heated. Going into the next game, Laxdal knows that keeping his team composed will be key.